Moist Fruit Cake for that high tea party! 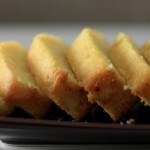 If you still haven’t guessed, I am in love with loaf cakes (this being my 4th post on the same). Loaf cake is now my open playground for desserts. Once you know the basic cake, the sky is the limit for the kind of flavours that can be tried. So this time when Ammi got dried cranberries, blueberring and blackberries from US; I couldn’t resist but make this dried fruit cake. I wanted to use these in my original Christmas fruit cake also but unfortunately, we don’t get these exotic ingredients here so that one went with dry fruits (pistachio, almonds, raisins etc). Soak the dried fruits in boiling water overnight (cover with a clean tea-towel). Note: You can use coffee/ tea or even rum to soak the fruits. Since I had parents home I just used water. Take the butter and eggs out of refrigerator earlier so that they are at room temperature when you start. Butter and line a Loaf Tin well. Remember to have the lining a bit taller than the tin to make un-moulding easier. Add eggs one at a time, beating them in well. Spoon the batter into the prepared tin and bake at 180°C for 45 minutes. Then reduce the heat to 150°C and bake for another 15 minutes. So after 45 minutes the cake wasn’t right there but it didn’t need too much so I decided to reduce the heat and cook for a slightly longer time. I remember reading this in some other fruit cake recipe during Christmas but can’t exactly remember where :(. Remove from oven; leave to cool in the tin itself. 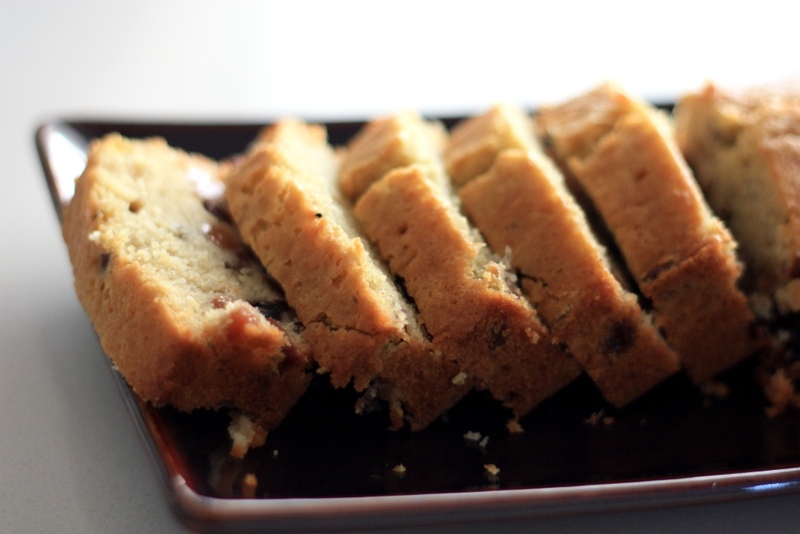 Once the cake is cooled, remove from the tin; cut into slices and Enjoy! 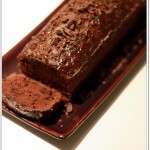 Quadruple Chocolate Loaf Cake – everytime a winner! I have already gifted this cake thrice to friends and colleagues! Orange Syrup Loaf Cake: A very subtle flavour and aroma of orange. Tried your ‘Fruit Cake.’ It turned out really well! Thanks Manisha! 🙂 for trying and for sharing your feedback! This fruit cake is a regular in my home every Christmas!